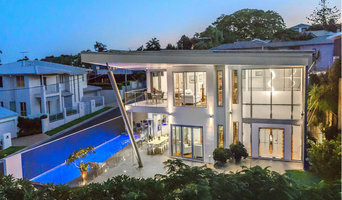 Tania J Coward is a Brisbane architectural firm with over 25 years experience and a folio that covers new residential and commercial projects, as well as renovations. 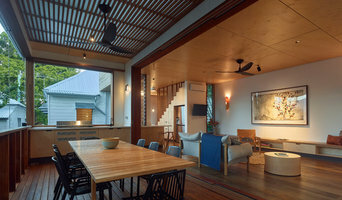 Tania J Coward is one of Brisbane's most adept Architects. We strive to maintain a close relationship with our clients so that we can better understand their needs and keep open communication. We take pride in providing innovative solutions for home extensions and alterations, new homes, commercial buildings and corporate interiors. The design is tailored to reflect not only the individual's needs, but also to benefit the surrounding environment. At Tania J Coward Architect, we aim to assist the client through the process from the first meeting to the point where they liaise with a selected builder for construction. Through our team approach, we make it seamless to work with consultants, suppliers and builders to bring a project to fruition. With our collective passion for design, we are always up for a challenge and ready to be personally involved in all projects from inception to completion. Urban Solutions Architects is a small client-focused practice providing architectural services to individual homeowners, home builders, and property developers. The practice has provided services on projects ranging in size from carports & deck additions to multi-million dollar residential projects and we’ve been fortunate to work in locations from Noosa to Sydney. We believe that no job is too small or too big to benefit from our experience and design skills and have built relationships with larger firms which allow us to collaborate on larger projects should the opportunity arise. The experience gained working closely with both builders and developers in Brisbane and South-east Queensland has established the ability to deliver practical, cost-effective design solutions without compromising the design integrity of the project. We have extensive experience in designing to maximize a site’s potential within the constraints of local planning codes and in guiding projects through the Development Approval process. We pride ourselves on the fact that our clients return to us for project after project and that many of our new clients are referred to us by existing satisfied clients. Teneriffe Architects Joe Adsett Architects (JAA) is an award winning architectural practice specialising in luxury residential projects. The studio is led by Director Joe Adsett and subscribes to a design philosophy of subtropical modernism – namely architecture that responds in a contemporary and timeless manner to the unique circumstances and environment of each site. We are an emerging and energetic design practice committed to pursuing design excellence. We have numerous exciting projects starting construction which we believe will set a new benchmark for Architectural design. Unlike other boutique Architects who use basic software like 2D auto cad and Sketchup we use Autodesk Revit and 3DS Max. We made a significant capital investment in cutting edge software and equipment and we can confidently say that we offer our clients something completely different to other architects. Our 3D software accurately describes every inch of the building. Rather than looking at plans and elevations our clients and contractors can fully understand our 3D model and be able to visualise the building and surrounding site. From the earliest concept we can test the views from every room, the way the light comes through each window at each time of the day and resolve privacy issues from neighbouring properties. Skyring Architects specialize in beautiful, sustainable residential architecture and interior design. We have a passion for creating truly great spaces with our clients through collaborative design and construction, smart ideas and common sense sustainable design solutions. We provide flexible services tailored to suit your individual project needs & budget. From full service architecture to hourly rates design workshops at your house. Talk to us about your next building project. Trace Studio is a small architecture practice with an interest in enhancing the sensory experience of living, through engagement with the outdoors, the varying qualities of natural light, materials, and the rituals of family life. The practice works mainly in the residential sector, from small scale house renovations, to new home design, and residential developments. 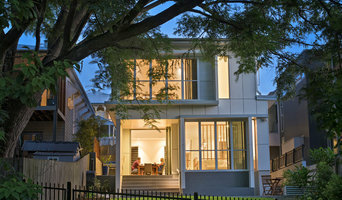 Frame Architectural is a Brisbane based architectural office undertaking residential projects of all scales and types. Projects range from single dwellings to multiple housing, including both renovation and refurbishment work, as well as stand-alone new works. With a commitment to working within any scale or economy, Frame Architectural is able to contribute throughout all stages of the building process from initial briefing and concept work, through to the construction process and final completion. Dedication, ambition and care is brought to every project, whether big or small, to produce successful results for all involved. I am a sole practitioner architect with a broad range of experience from expo pavilions to home renovations. I find that residential work in particular gives me great satisfaction, helping people realise their hopes and dreams and improve their living environment. Early in my career I determined not to be an 'Ivory Tower' architect. To get fully grounded in buildability, cost, time-planning and sustainability I obtained my Builder's Registration and got my hands dirty in all the trades building a number of houses. This has since informed all my designs. If your renovation is more than a simple benchtop replacement or roof re-tiling job, then it may be time to find an architect in Collingwood Park, QLD, AU who can manage your project from start to finish. Depending on the architecture firm you hire, the scope can span from planning sustainable design into your renovations, to selecting furniture and even interior finishes. An architect is often the first person you hire for your project. 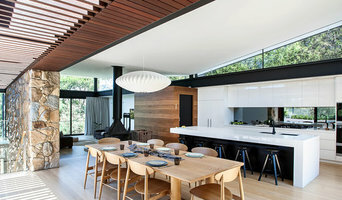 Before taking steps to find an architect in Collingwood Park, QLD, AU, ask yourself what you want to achieve from your renovation or home construction. Do you want to improve the liveability and sustainability of your home, or simply expand? What style of architecture do you prefer? Once you have established your motivation, research architects that have completed similar house designs in your Collingwood Park locale and within a comparable budget to yours. Ideally, your Collingwood Park, QLD, AU architect will be involved in all phases of the design process, from the initial concept to the completed construction. Your architect may be needed to select and hire Queensland subcontractors (e.g. builders, engineers and landscape architects) just as they may need to negotiate contracts with stakeholders. A good client-architect relationship will ensure they are your biggest advocate along the way during construction. Find residential architects on Houzz. 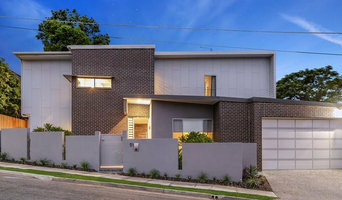 To find the best Collingwood Park, QLD, AU architect for your home design project, narrow your search to find professionals in Collingwood Park, QLD, AU. Then browse their latest projects and read reviews. You can also look through photos of projects to find an interior architect or designer who has worked on a project similar to yours.